This is a very indulgent blog post! But I really enjoy listening to podcasts and I love hearing about the podcasts people listen to so I thought I would run down some of my favourites. I have previously blogged on this, coincidentally it was almost exactly 3 years ago today! And I also did a post on my favourite podcasts for creativity. But these are the ones I listen to right now for fun! I love Gretchen's books so I've been listening to this since it started. 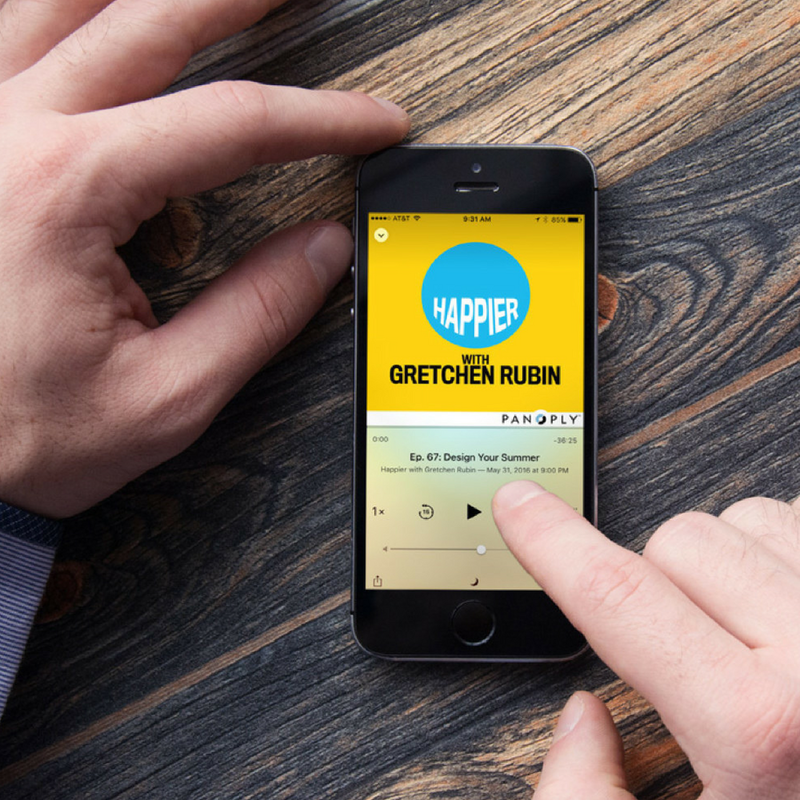 Happier is a weekly podcast that Gretchen Rubin makes with her sister Liz Craft. They talk about how to be a little happier in everyday life. I've particularly found the discussion about different tendencies and how they affect our happiness very helpful.